Russia inked 1.6 billion in energy and other agreements with China over the weekend, broadening the economic ties between the two Asian powerhouses, according to China Daily. One deal involves the transport of 15 million tons of crude oil yearly to China from Russia, via a cross national pipeline. 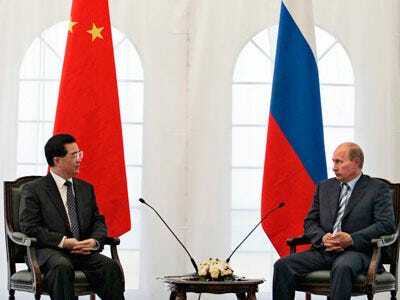 The two countries also discussed sanctions against Iran for its development of nuclear energy.